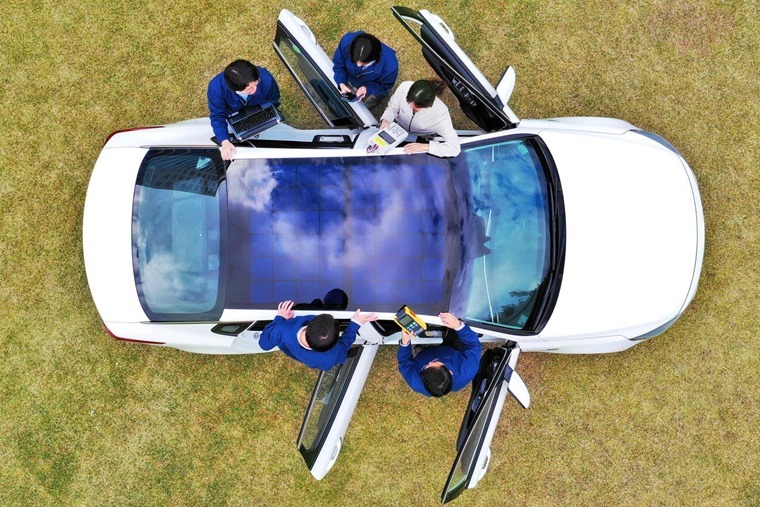 Hyundai and Kia are set to introduce a solar charging panel roof system on some models from 2019. Three different types are being developed that will be fitted to hybrid, fully electric and also internal combustion engine (ICE) models. The solar charging technology is being developed to support the vehicle’s main power source, improving mileage and reducing CO2 emissions. Although we’ve seen systems like this before fitted to the Toyota Prius, but it’ll be the first time it has been applied to ICE vehicles. The first-generation system, which will be applied to hybrid models, is created out of a structure of silicon solar panels that are integrated into a standard car roof. This system is capable of charging 30 to 60% of the battery over the course of a normal day, depending on weather conditions and other environmental factors. 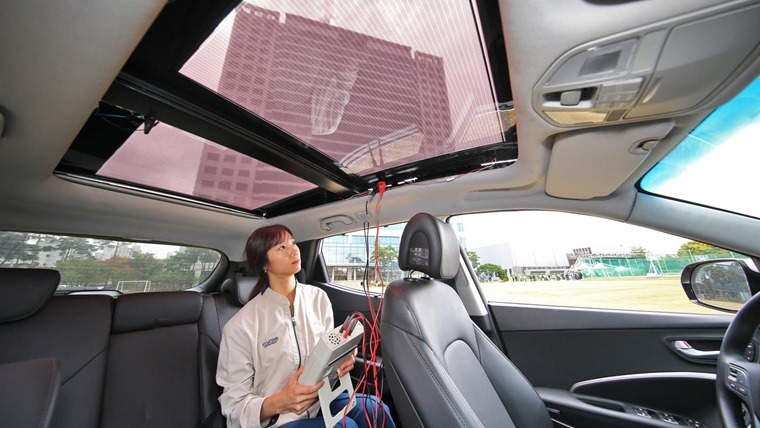 The second-generation semi-transparent solar roof will be applied to ICE vehicles, and can be integrated with a panoramic sunroof, letting light through into the cabin, whilst also charging the vehicle’s battery. Applying solar charging systems to ICE vehicles will help them comply with ever more stringent global environmental laws regulating CO2 emissions. The third-generation system, is currently in testing. It is designed to be applied to the hood and roof of eco-friendly battery electric vehicle models in order to maximize energy output. Models set to benefit from the new technologies are to be confirmed, but the first-gen system will be fitted to vehicles from next year. We’ll have to wait and see if they’ll be available in the UK.